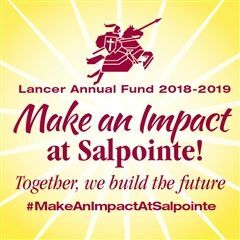 On January 29, 123 Salpointe students received the Sacrament of Confirmation. Monsignor Raul Trevizo, Episcopal Vicar of the Tucson Diocese presided at the Mass and Fr. Manu Franco-Gomez, O.Carm. was granted faculties by Bishop Weisenburger to assist in the sacrament. Students began processing in August. They also attended a retreat and received the Sacrament of Reconciliation throughout their formation. 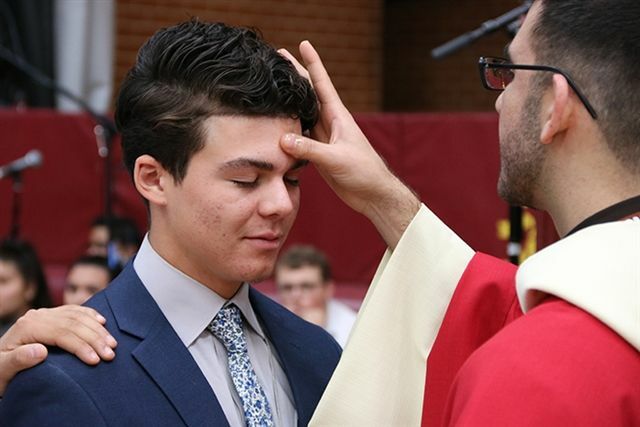 View photos of Confirmation 2019 here.